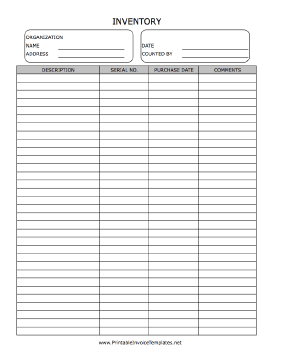 A printable form on which to tally store or warehouse inventory. Includes spaces for description, serial number, purchase date, and comments. It is available in PDF, DOC, or XLS (spreadsheet) format.